Dubai: Amid the rush to complete the Expo 2020 Dubai site, construction work came to a standstill one day in November. The reason? Bees. But no, the bees did not attack anyone. The workers and teams onsite were just following a standing order not to harm animals found onsite but to rescue and relocate them wherever possible. 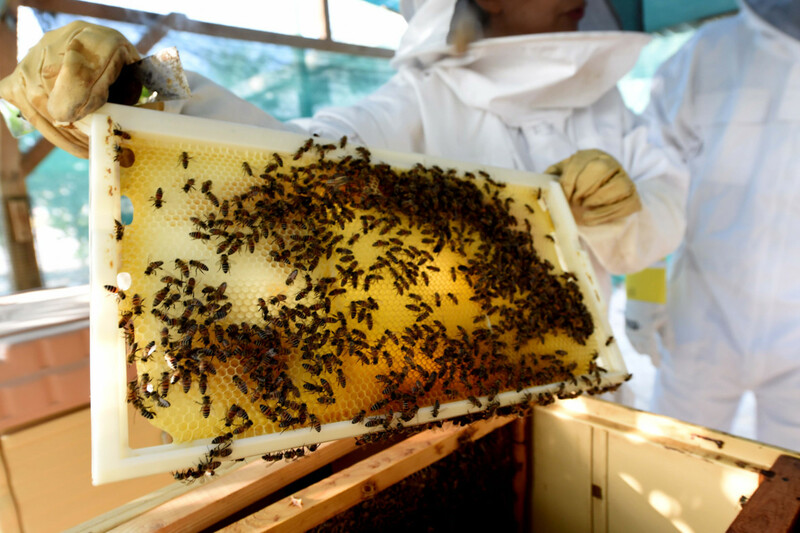 A colony of Apis mellifera bees was discovered at the Expo site, And, by pure coincidence, at the Sustainability Pavilion plot of the 4.38 sq km Expo site. 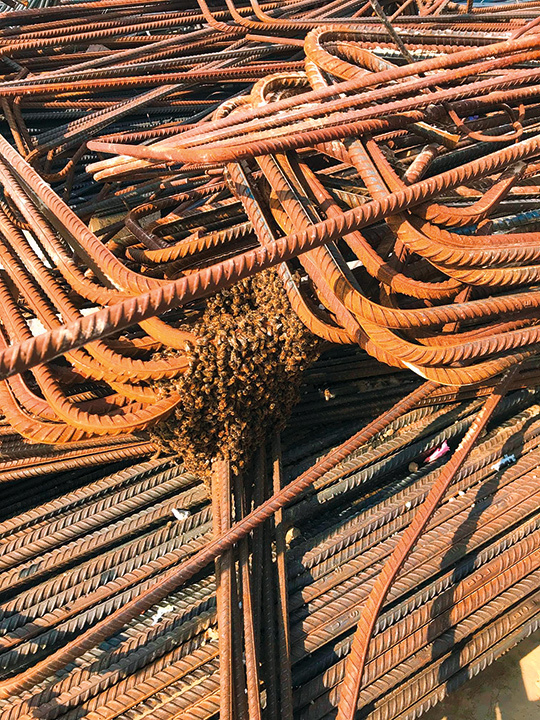 “The bees have nested on the steel rebar within the plot. 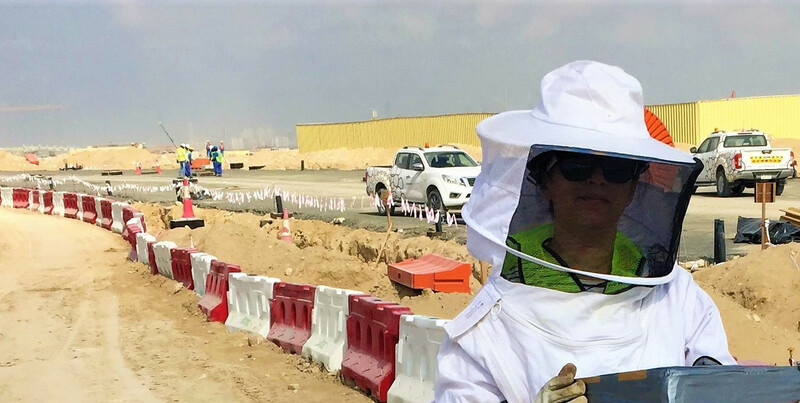 As soon as we received the notification and photos and videos, we contacted the Beekeepers Association on whether they would be able to come and rescue the beehive and transfer them to a safer place,” Ayesha Al Marzouqi, Associate – Sustainability and Innovation, Expo 2020 Dubai, told Gulf News. Sustainability is one of the three themes of the Expo 2020 Dubai happening next year from October, apart from Opportunity and Mobility. Aside from bees, the team has rescued and relocated some animals, mainly reptiles, found on the site during construction in their aim to host “one of the most sustainable world expos in history”. So how were the bees rescued? 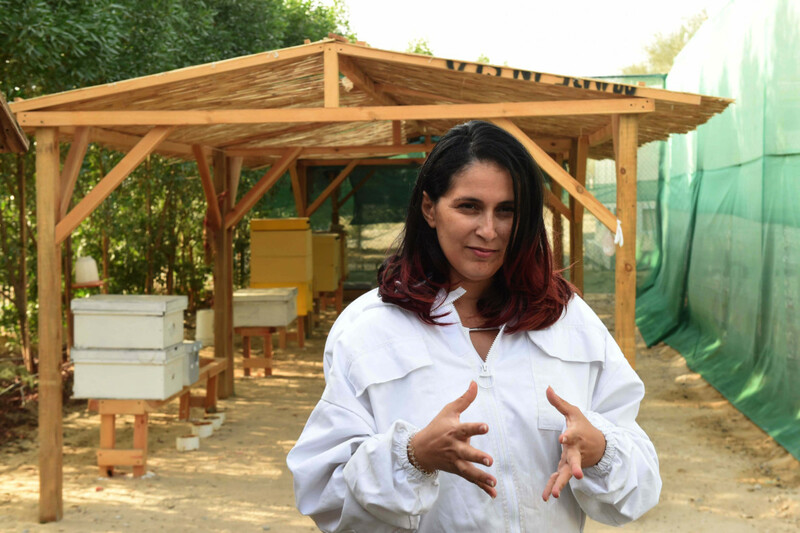 Zahira Nedjraoui, President of the Beekeepers Association, was called in for swarm removal of the bees estimated to number around 30,000. “It was not a straightforward removal because they were wrapped around the rebars,” Nedjraoui told Gulf News. Nedjraoui and a worker who volunteered to help scooped the bees into the box so they can move them to a safer place. 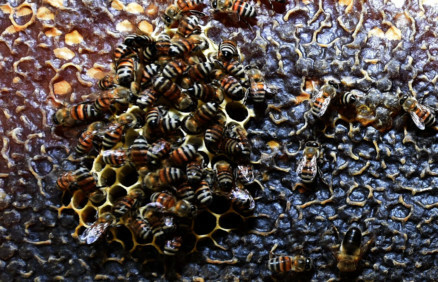 “While doing it, we noticed that the bees started to fan their little wings which is an indication that the queen had been captured and these bees were informing their little sisters that the queen was in the box so they should all move in there,” Nedjraoui explained. That made the whole process easy which took roughly 45 minutes. The bees were then relocated to the Bee Garden at Sustainable City. 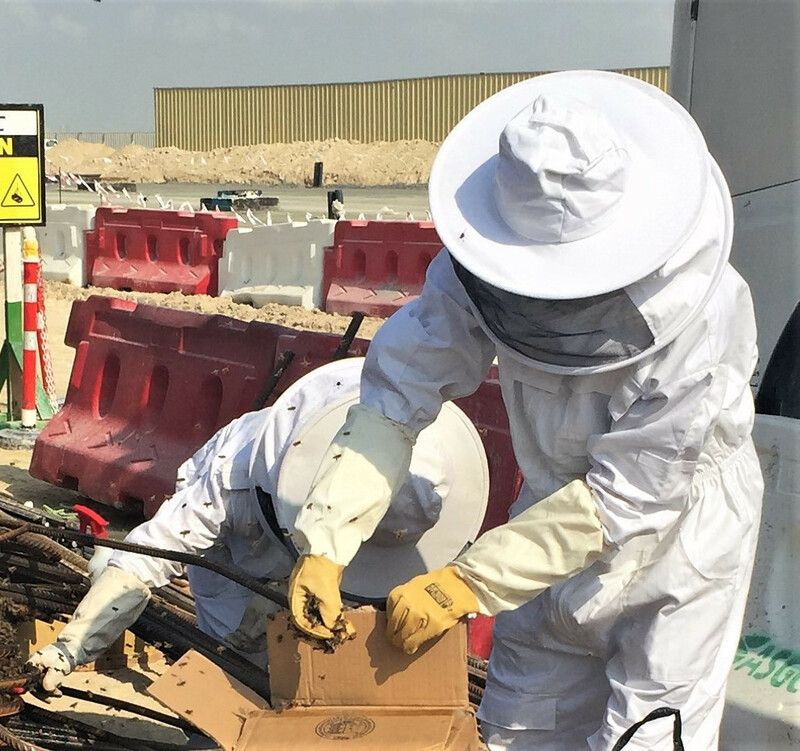 The Expo 2020 Dubai team adopted them through the association’s ‘Adopt A Beehive initiative’. “I was really happy and impressed with their commitment to sustainability through the fact that they adopted the bees,” Nedjraoui said, adding the team’s money will be fully reinvested into the association to support achieve its objectives. More than a month later, the colony has doubled in size. “The bees now are settled. From zero comb, we now have four full comb frames. They produce a lot of eggs and babies and a lot of honey which is a good indication that they’re happy where they are and they’re absolutely thriving,” Nedjraoui said. 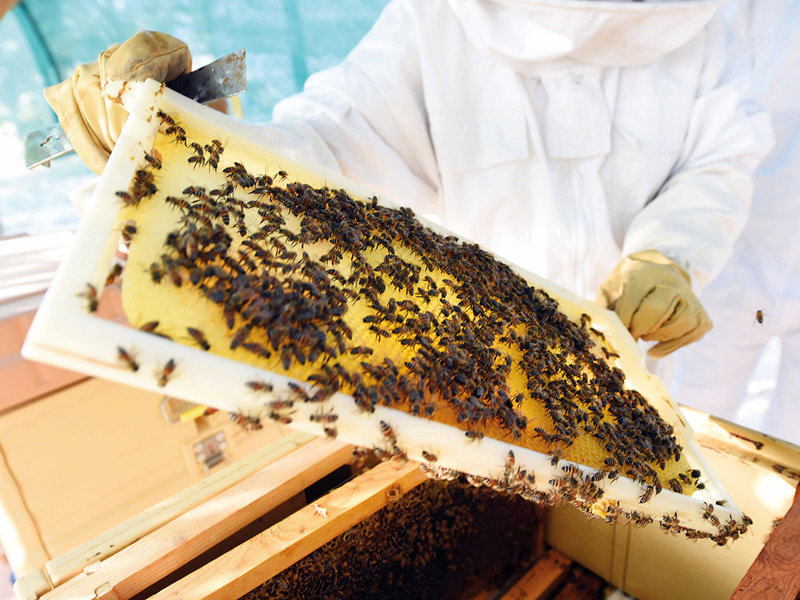 Apis mellifera bees (honey bees) are a honey-producing species uncommon in the UAE. Characteristics: About 12mm long and usually yellow, with 3 or 5 dark brown abdominal bands. Origin: Native to Europe, western Asia, and Africa. They are flown to the UAE from Egypt, Saudi, and Oman. How long were the bees at the Expo site? Probably more than 24 hours. 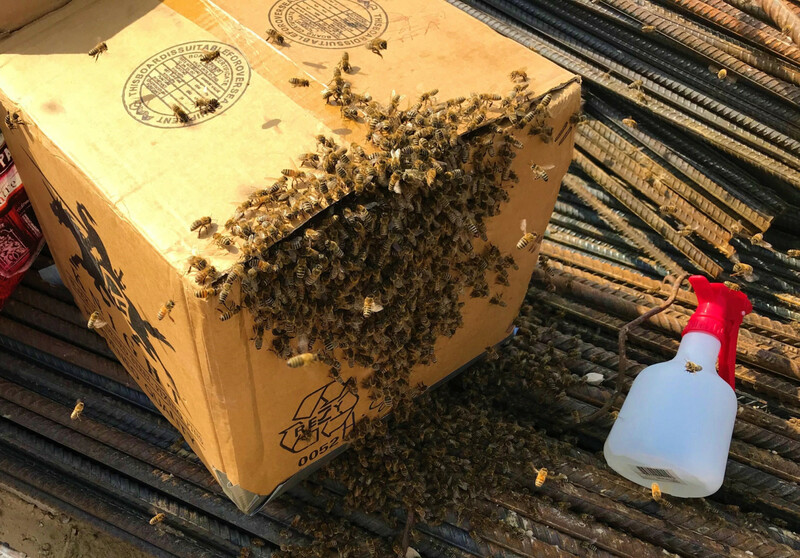 The bees were in transition and are presumed to be relocating to the big nursery at the Expo site. Why is it important to protect bees? Bees are the number one pollinators. No bees means no pollination, no crops. Around how much honey can the rescued bees produce in a year? It depends but one beehive can produce around 5kg per year. But the bees adopted by the Expo Team will not be for honey production. What other animals have been rescued from the Expo site? Schmidt’s fringe-toed lizard and a Cheesman’s gerbil -- they were captured, photographed and released into an appropriate environment.